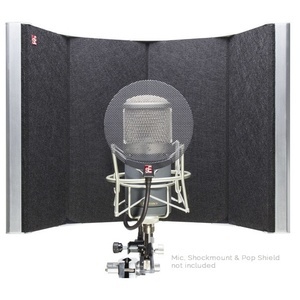 Create Better Recordings in Any Space! 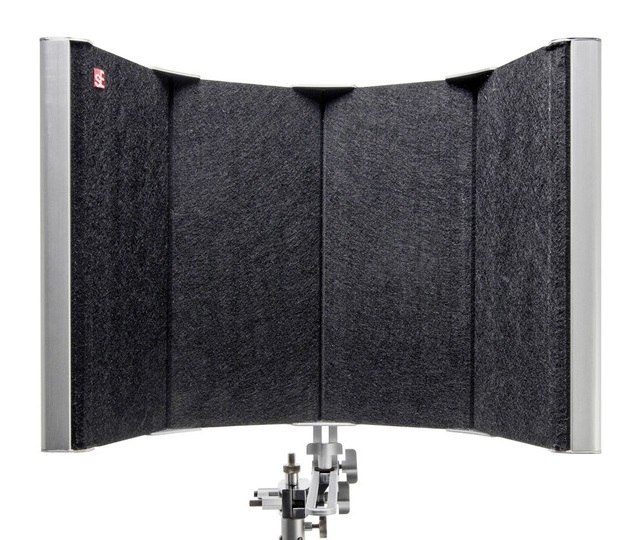 With a larger surface area, enhancement of sE’s patented multi-layer technology, deeper air gaps, and more efficient materials, the SPACE offers great full-bandwidth absorption, isolation, and diffusion to help you gain control over your acoustic environment. 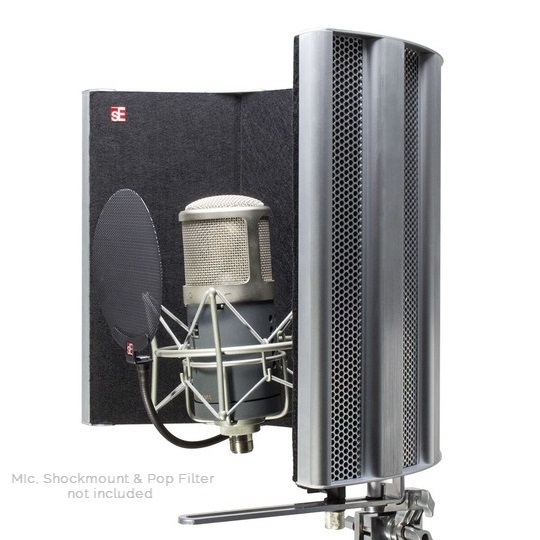 Larger than our industry-standard RF Pro and entry-level RF-X, the added size also makes the SPACE filter perfectly suited for larger microphones. 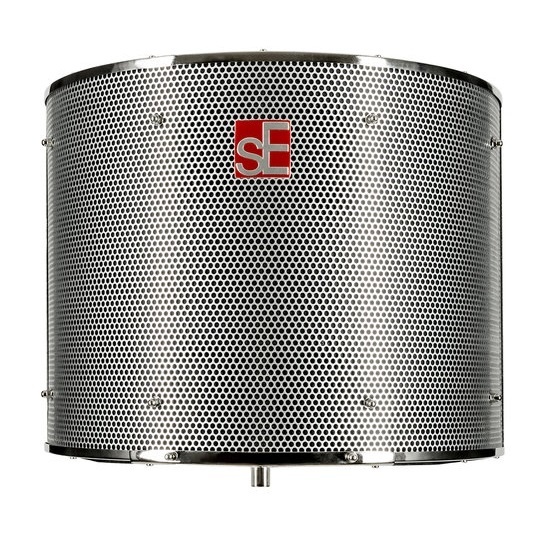 Each SPACE filter is hand-built by our team at the sE factory - not mass-produced by an army of machines - and made to last for years and years of recording. 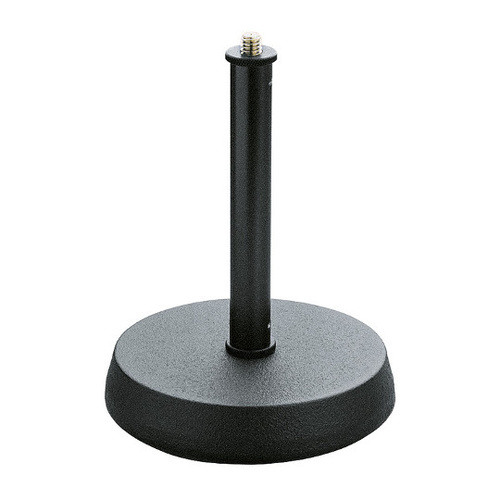 New specialized mounting hardware allows the SPACE to be easily mounted on any microphone stand or drum hardware, with a full range of motion – adjustable and lockable horizontally, vertically and tilted at any angle. 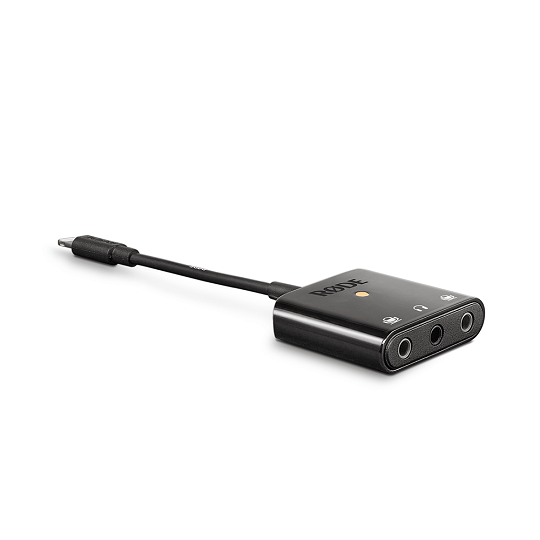 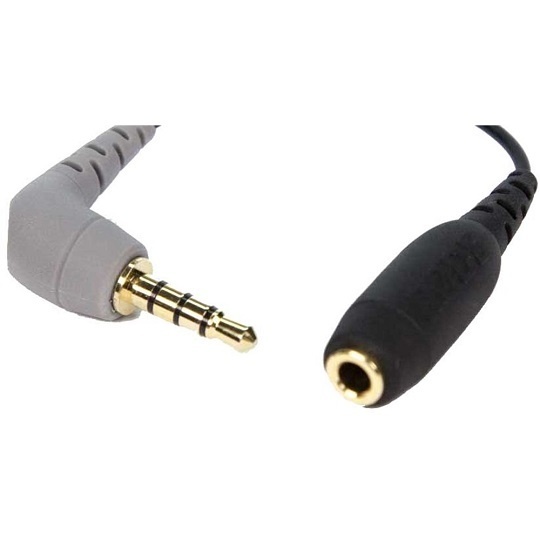 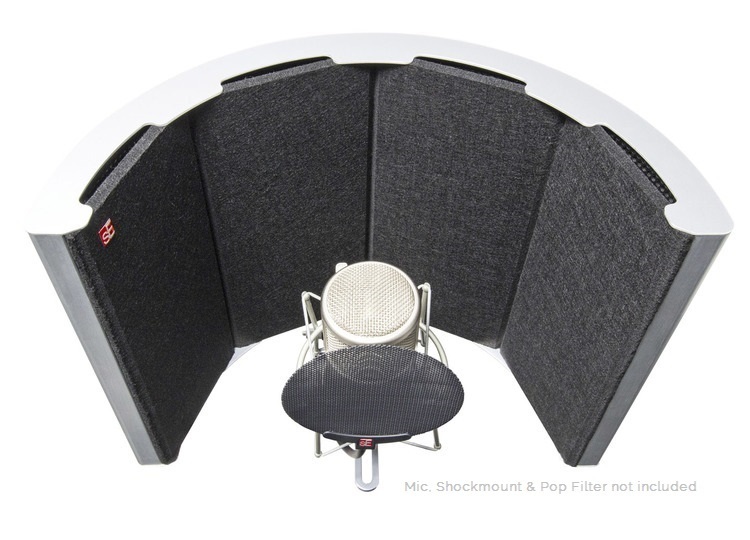 This makes the SPACE utterly stable and effective in any recording environment. 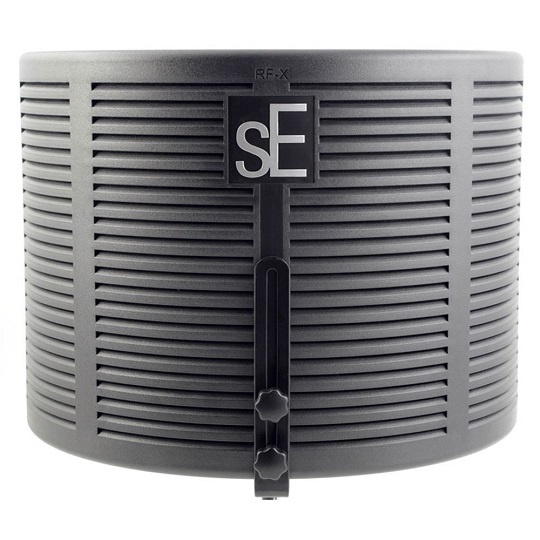 SPACE is sE's thickest acoustic filter to date, with 10 full layers of various materials to absorb and diffuse as much sound as possible. 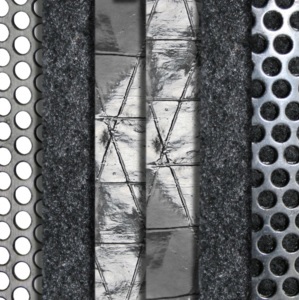 Materials include a punched aluminum diffusor, wool absorbers, tensioned aluminum foil membranes, polyester acoustic fiberboard, and a polycarbonate diffusor, all separated and isolated by asymmetric air gaps. 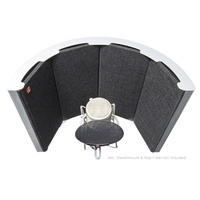 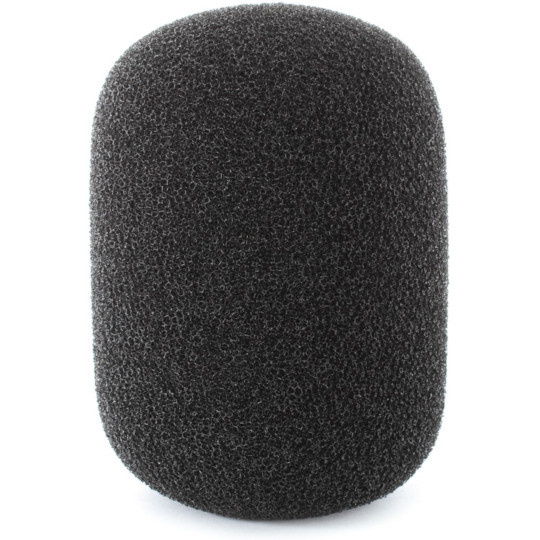 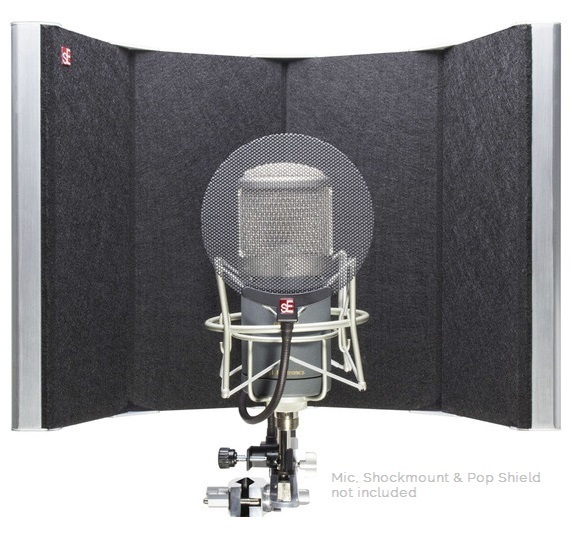 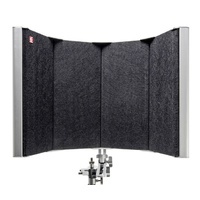 Even if you're recording in a highly reflective room, SPACE gives you the acoustic isolation you need in a convenient design. 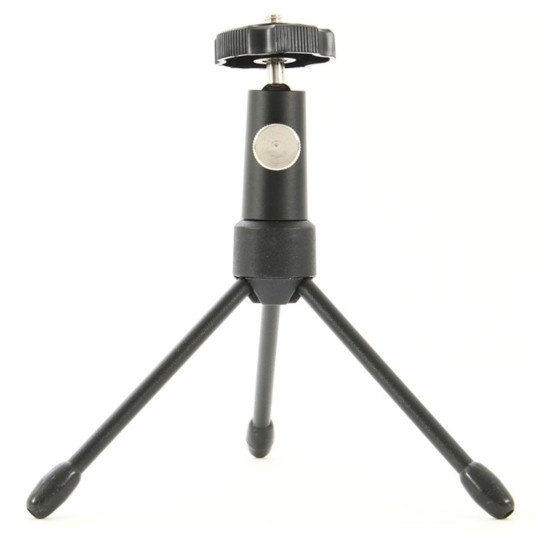 *Some users prefer to use a straight cymbal stand over a mic stand. 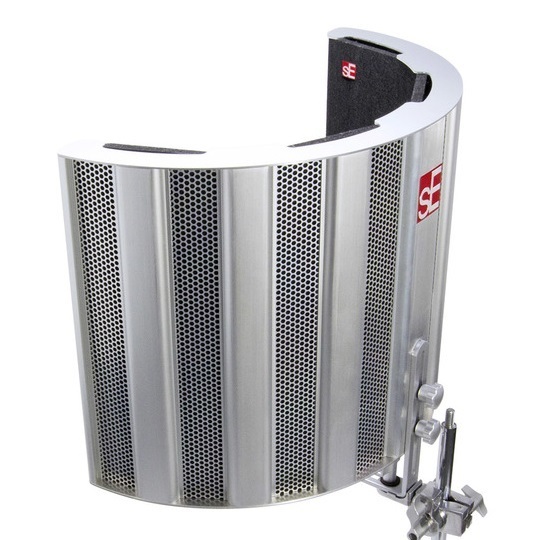 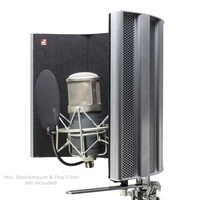 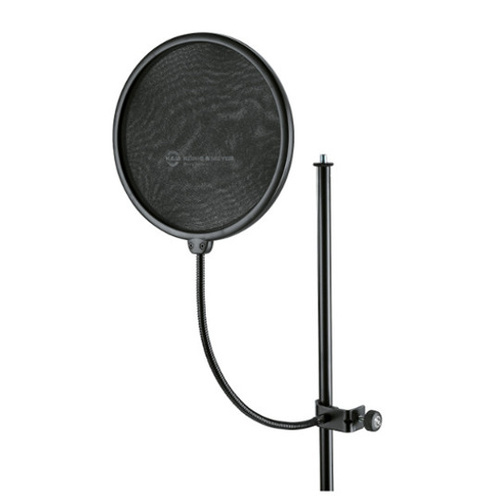 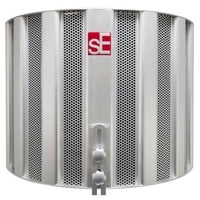 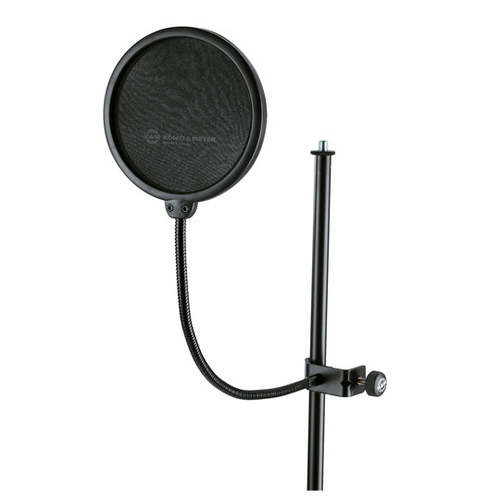 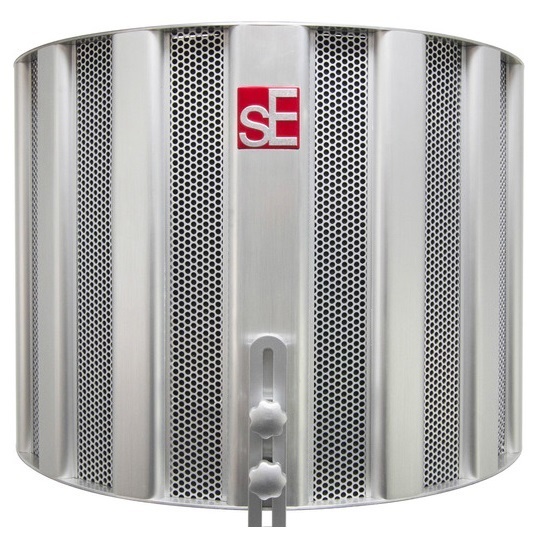 You'll make better recordings with the sE Electronics SPACE!